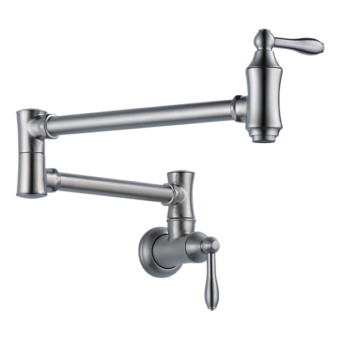 “Easy Pull” continuous force spring controls pull-down feel. 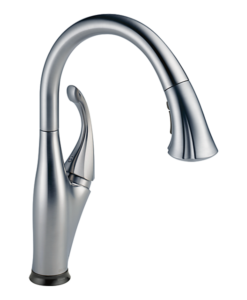 Spray head extends 20″ from spout. 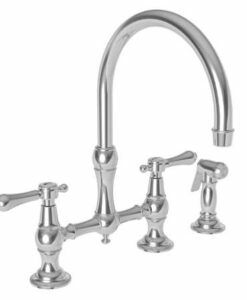 Lever select spray or aerated stream. 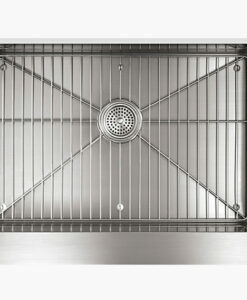 Handle adjusts 22.5 degrees in either direction for clearance from backsplash. Pulley braking system prevents handle snap back. Waterstone re-invents the wheel! 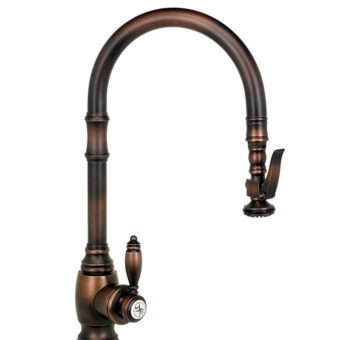 A truly one-of-a-kind kitchen faucet, The Wheel Pull Down Kitchen Faucet, raises the bar for the Pulldown Faucet category. 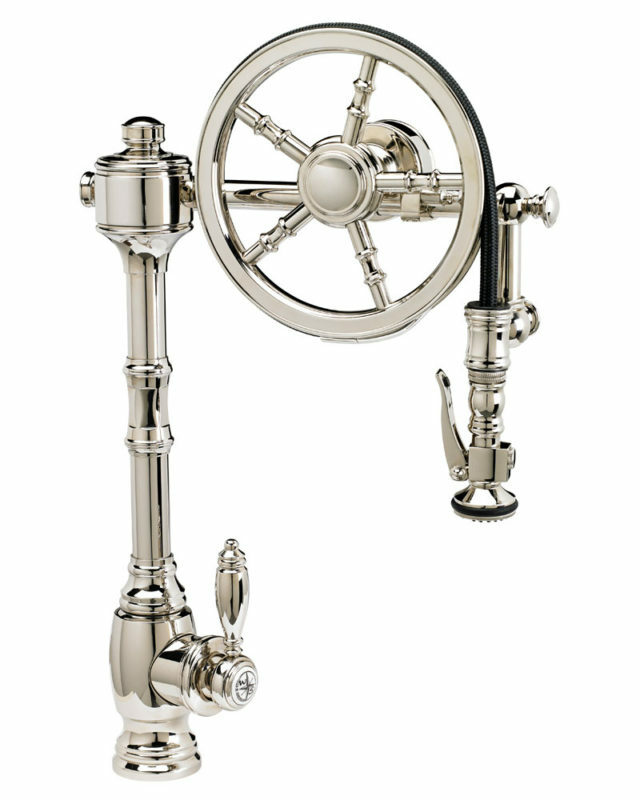 The Wheel’s innovative design was Inspired by the wheel of a ship and the adventurous spirit of American ingenuity. 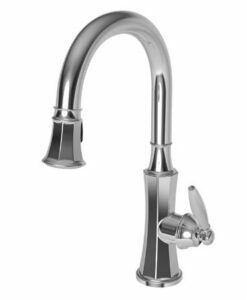 The Wheel’s pulley spray design is built with the quality and craftsmanship you would expect from an American Made kitchen faucet. 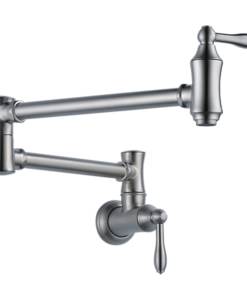 The faucet’s pre-rinse spray arm is spring loaded and can swivel to reach every corner of your sink. 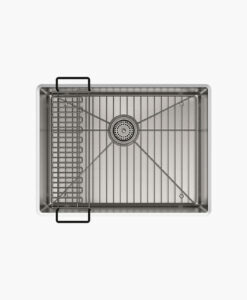 Our innovative braking system prevents the spray handle from slamming back in to place too quickly. 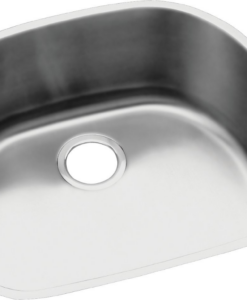 The 360 degree swivel spout does the job too. 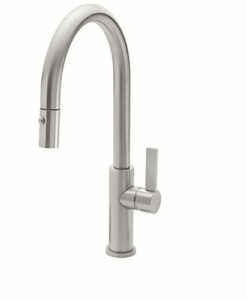 Single handle, adjustable hot cold control. 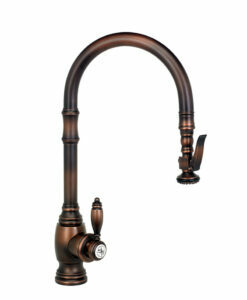 This amazing faucet will be the showcase of your kitchen design and will have all your friends talking. At Waterstone, we never stop innovating. 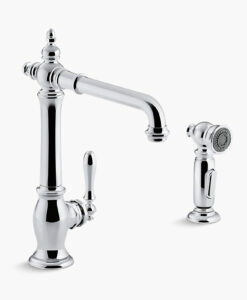 Our distinctive kitchen faucets are built to last a lifetime in the most popular room in your home – the kitchen.